phen-ethyl-amine \fen-'eth-al-a-,men\ n. [phenyl fr. F. phène, fr. Gk. phainein, to show (from its occurrence in illuminating gas)+ ethyl (	+ yl) + amine fr. NL ammonia] 1: A naturally occurring compound found in both the animal and plant kingdoms. It is an endogenous component of the human brain. 2: Any of a series of compounds containing the phenethylamine skeleton, and modified by chemical constituents at appropriate positions in the molecule. The Copyright for Part 1 of PiHKAL has been reserved in all forms and it may not be distributed. Part 2 of PiHKAL may be distributed for non-commerical reproduction provided that the introductory information, copyright notice, cautionary notice and ordering information remain attached. 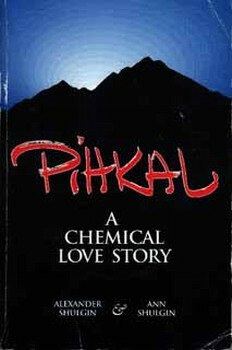 This is the online version of the second half of the book "PiHKAL: A Chemical Love Story" by Alexander and Ann Shulgin. It is presented with the express permission of the authors in order to spread the factual information as widely as possible and make it permanently available in the public domain. It was originally transcribed into ASCII by Simson Garfinkle and was coverted into HTML by Lamont Granquist. Any comments or corrections about the HTML version should be sent to Erowid. We can also forward serious and appropriate comments to the author if they are e-mailed to us. Bolded entries indicate those substances that have been more popular or more available than others since 1991. The first half of PiHKAL is an excellent commentary on the Shulgin's personal experiences with phenethylamines. It is highly recommended and well worth purchasing the book. Purchasing the book also gets you a far more complete cross-index into the chemicals described in the second half. If you are seriously interested in the chemistry contained in these files, you should order a copy. The book may be ordered through Transform Press, for $22.95 ($18.95 + $4 p&h U.S., $8 p&h overseas). Box 13675, Berkeley, CA 94701. (510)934-4930 (voice), (510)934-5999 (fax). California residents please add $1.56 State sales tax.